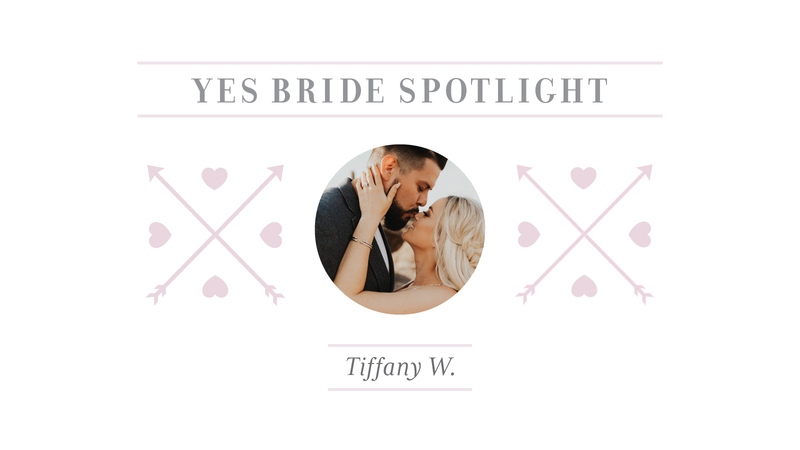 YES BRIDE SPOTLIGHT: TIFFANY W.
MEET OUR BEAUTIFUL yes BRIDE TIFFANY! 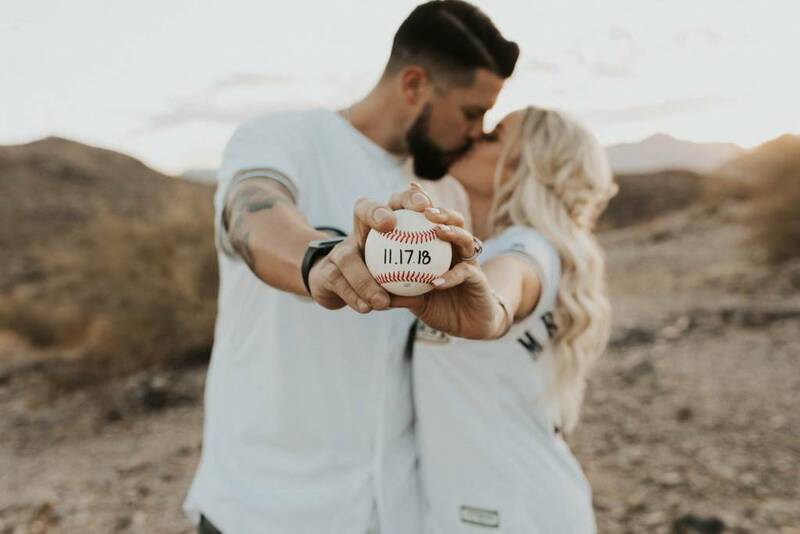 How Tiffany became a Yes bride: Nick and I met at Spring Training in Scottsdale, Arizona in March of 2016. We met through mutual friends at a bar and stayed friends for quite awhile. We would text here and there, but since he’s from California and I’m from Texas, I didn’t think we would end up dating. However, I could not stop thinking about him! He was the first guy I felt myself around. There were no games, no trying to be something I wasn’t, he just let me be my true self. Finally, after months of endless phone calls and texting all day, we set a date for me to come see him in Biloxi, Mississippi. Honestly, I knew I loved him after I spent so much time scrambling to overnight him a birthday present before I had even hung out with him one on one. This sounds silly, but I knew how much he meant to me because of how much time I was putting into making him feel special from states away. After two weeks, it was finally time to see him! So two weeks after his birthday, it was finally time to see him! There had been hurricanes in the gulf coast so it took me 14 hours to get to him. I-10 was closed and my car had a total meltdown in Houston causing an additional 3 hour delay, but I was determined to see him. I ended up staying there for 5 days and having the best time of my life. I was so sad to leave and after only being back in Austin for 2 days, I asked him if it was crazy if I drove back. He told me to get in the car, so I did! Honestly, like they say, the rest is history! After those trips, I knew it was meant to be. I even cried to him on the phone, a month into our relationship, telling him I didn’t want to freak him out, but I knew God’s plan was for me to marry him. I actually had someone tell me that God told them to tell me not to fear because I had already met the one God intended for me. After that, Nick came to visit me in Austin and his visit ended with him canceling his return flight and us shipping all of his belongs from California so he could move in with me! How did she become a Yes Bride? My girlfriends had asked me the week before if we could all get together and go on a triple date to the Oasis Bar & Grill. For those of you that don’t know, The Oasis literally has the best views in Austin. It overlooks Lake Travis and is the prime spot to watch the sunset. So of course I agreed to dinner. When Friday came, Nick and I arrived to The Oasis a little early. While we waited for the rest of our group the manager lead us to the third floor to hangout before dinner. Nick suggested we go on the balcony and take an Instagram picture. If you know me at all, you know I won’t miss an Instagram opportunity. Nick then told me to turn around so he could take a picture of me looking at the sunset. Well, I didn’t get those pictures because when I turned around, Nick got on one knee and asked me to be his WIFE! I started crying, said yes, and kissed my future husband! After that, all of my friends and family came out behind some pillars and made the night even more memorable. He honestly did so good. 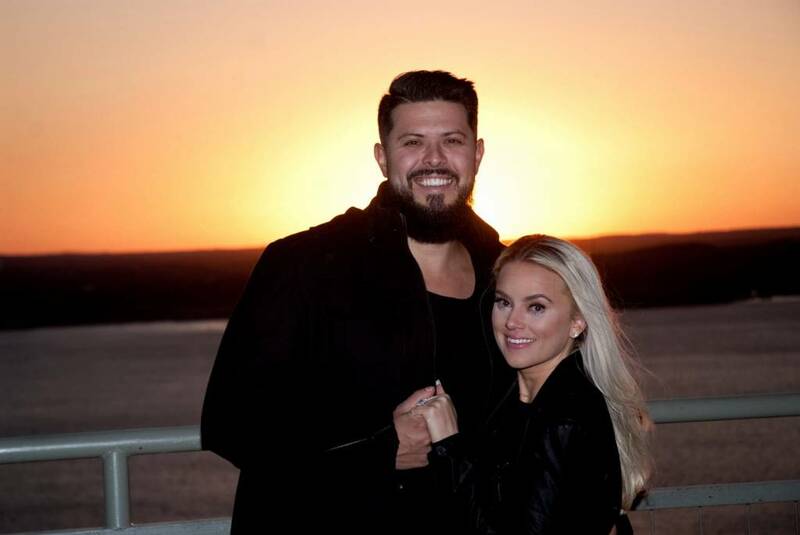 Austin is where I grew up and it was important for me to have a proposal in a place I hold so dear to my heart with all of my loved ones there to share the moment. What originally drew me in to the Sylvie collection was the fact that it was a Texas designer. I am Texas proud and to support a Texas designer would be amazing! I went with a round center diamond and a double halo setting. I always knew I wanted a halo, but Sylvie killed it with the double. It somehow has a glam feel while still looking dainty and feminine, which is an important feature to me. We purchased my ring from Diamond’s Direct in Austin, Texas. We always knew Diamond’s Direct carried high quality diamonds and phenomenal designers, so starting there was a no brainer. What I love most is how Sylvie was able to make my setting work with my diamond. When it was all said and done, I was in total shock. 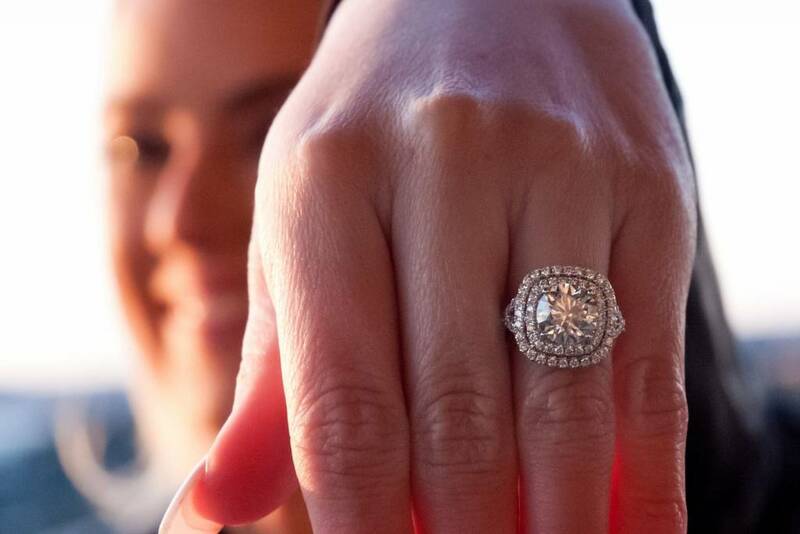 The ring is a dream come true and it’s even better than I envisioned. It truly feels like this ring was made just for me and I can’t thank the designers enough for making my most prized possession so incredibly perfect. As a Yes bride, you say yes to life! What do you say yes to? 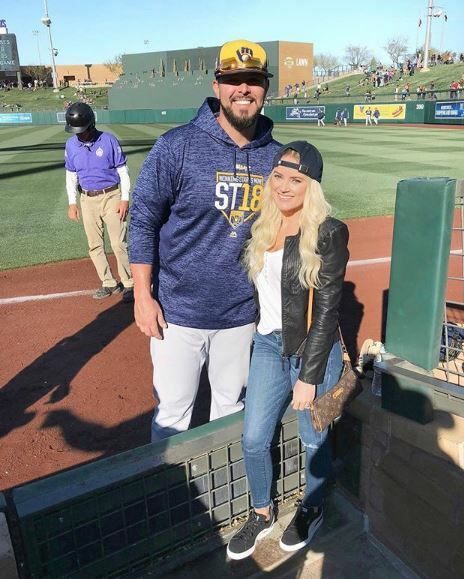 I think the biggest “yes” I have ever said, minus when Nick popped the question, is saying yes to the crazy lifestyle that is baseball. There are a lot of unknowns with Nick’s career, but I’m here every step of the way. Whether it’s being traded to a new team, packing up our lives and moving, I know there’s no hesitation. It’s a part of the lifestyle and I took a big step in telling Nick I would be there for the journey, the highs and low of his career, and all the madness that comes with it. The thing I love most about Tiffany is her hard work and dedication to making our lifestyle work. She currently works two jobs, runs her blog, is planning our wedding, and somehow manages to come to the baseball field for 5 hours every day to watch me play. Did I mention she’s also traveling for about 8 hours a week with our golden retriever in tow? She really does everything she can to always be there for me and is willing to drop everything to be at the stadium cheering me on, which is something I always need during season! CONGRATULATIONS TO NICK & our yes bride, TIFFANY! we WISH YOU BOTH THE BEST!